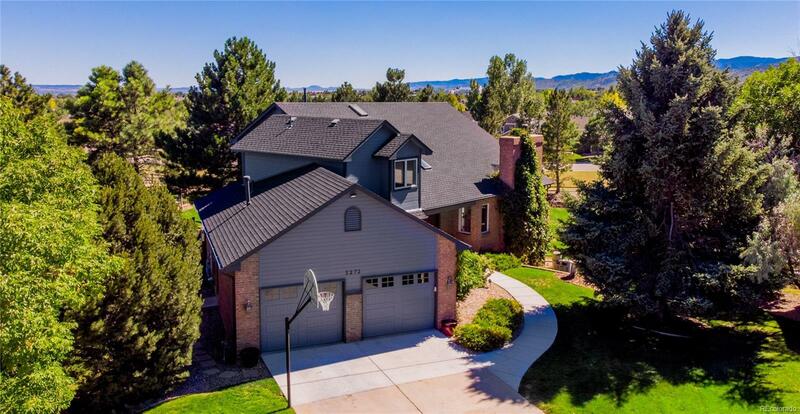 BEAUTIFUL custom walk out two story home, Breath taking mountain and city views from deck that runs along the entire back and side of home. Gorgeous back yard with in ground salt water swimming pool, gas fire pit and sitting area, custom spiral stair case to deck from below, Yard is perfect for entertaining and relaxing! Large dog run, 2 storage sheds. Walk into a Canadian air lock entry! Stunning cherry hardwood floors, Wood burning fireplace in living room, designer paint through out, on demand tankless hot water. Remodeled Kitchen with soapstone countertops, slate appliances, built in double hutch in dining room. Rod iron and cherry stair rails and baluster, skylights and lots of windows to let in natural lighting. Remodeled bathrooms, Master bathroom has a five jet steam shower and jetted tub, enjoy the balcony off of the master suite. Custom built in bar and media room are among many of the warm touches of this home. Home is nestled in a cul-de-sac. Entertainers Dream home!